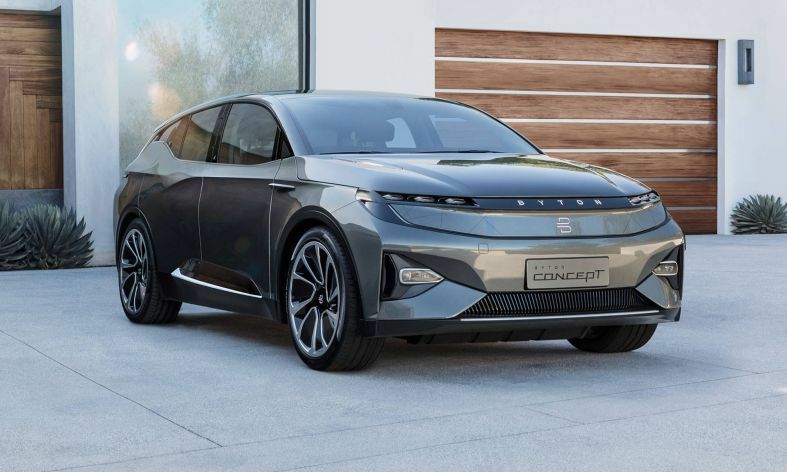 The chairman and co-founder of Chinese electric vehicle manufacturer Byton, Dr. Carsten Breitfeld, will leave the company soon, German business monthly Manager Magazin reported on Thursday, citing several unnamed sources. Byton was having difficulty funding its planned expansion in the Chinese market, causing tensions inside the company and prompting the decision, the sources said. Manager Magazin said Breitfeld would leave even before Byton's first premium SUV model the M-Byte, enters mass production this year. It cited a spokesman for Byton as saying that the company saw no reason for such speculation. Byton is one of several new Chinese electric-vehicle startups that are competing to establish their presence in China and abroad. Others include Xiaopeng Motors (XPENG) and NIO. The EV startup is looking to compete with Tesla with its luxury electric SUV. BYTON co-founders Dr. Carsten Breitfeld (L) and Dr. Daniel Kirchert present the M-Byte concept EV at CES 2018 in Las Vegas. 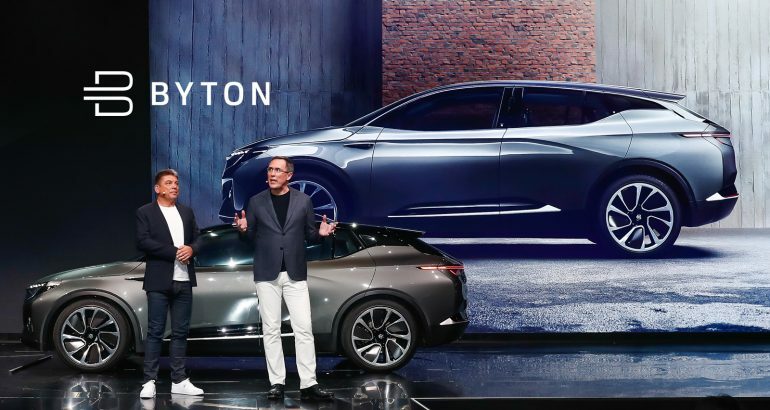 In June 2018, Byton announced it concluded a successful Series-B fundraising round of $500 million from multiple major investors, including FAW Group, Tus-Holdings and EV battery maker Contemporary Amperex Technology Co. (CATL). Byton also announced last year the opening of its global headquarters in Nanjing, China, forming a global operation centered in Nanjing, with a R&D center in Silicon Valley and a design center in Munich, Germany. Sources told Reuters in January that Byton was seeking to raise at least $500 million euros to finance its growth plan, and Breitfeld told a German magazine in October that it might launch an initial public offering. Byton unveiled its first concept SUV at the Consumer Electronics Show (CES) in Las Vegas in Jan 2018. The vehicle includes facial recognition access, assistive driving technologies and hand gesture controls. The vehicle also features and a unique widescreen "Shared Experience Display" stretching across the entire dashboard. In Aug 2018, Byton announced it was working with autonomous driving startup Aurora to outfit its vehicles with self-driving technology. Aurora was founded by Chris Urmson, the former head of Google's self-driving car program. Breitfeld, who co-founded Byton in 2016, is an engineer who spent 20 years at BMW, including more than 10 years as BMW Group vice president. He was the former head of the BMW i8 program.